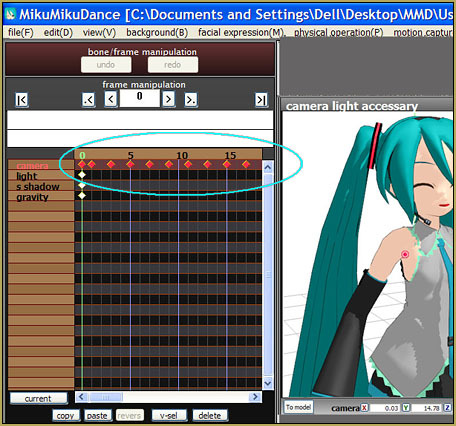 How do I use the MMD CameraSmoother Tool? Where can I get the free CameraSmoother Tool for MMD? How can I create smooth camera motions without dealing with interpolation curves? Making smooth camera motions has just gotten a lot easier with this new tool. With a few simple clicks and editing, you can make realistic camera movements for great shots that may involve orbiting the camera around a character or for quick turns. How may we do this? interpolation curve? No need. I created this simple camera motion with no interpolation curves. See how the camera backs away and comes to a stop before moving to our right and and then how it has a slight bump before moving in for the final closeup where it makes a hard-stop. Download the free CameraSmoother Tool. There is no ReadMe; I don’t know where it comes from/who created it. This tool takes care of the interpolation curve and you can edit the way the camera moves. It is in Japanese Language but pretty straightforward to use. This image is in the ReadMe in the downloaded folder. 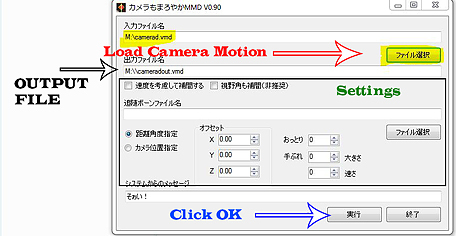 Insert your camera motion into the tool, Follow the instructions in the image above and click OK when the motion is loaded. This tool will create a second file called [YourFile]Out.vmd. 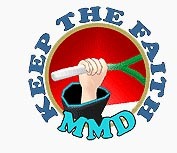 Go to your MMD window and delete the keyframes of the previous Motion file. and load in the new one. Once loaded play it back and you should notice some differences in the way the camera moves. Smooth camera motion thanks to the CameraSmoother Tool. … see how the camera glides through the motion so smoothly! Also see, below, how the Smoother tool adds data in every-other frame… which makes that camera motion un-editable… so be sure to save your original motion that you can edit in case you want to make changes, later. If the camera moves in the wrong way feel free to play with the settings to see if you can make it work for you. Have fun with the CameraSmoother Tool! Thank YOU for reading our pages!